Baklava lovers, huddle up. Now listen closely. Clear eyes…full hearts…. 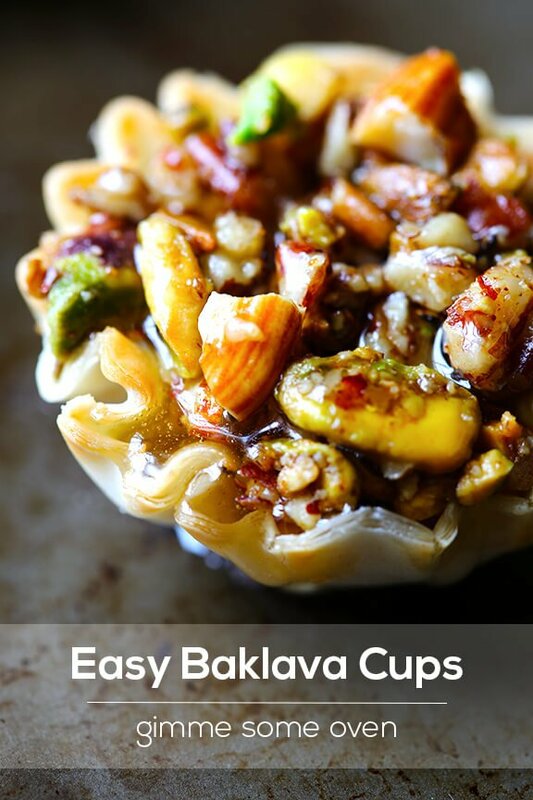 But seriously, baklava lovers, I clearly and fully believe I have stumbled upon something you must try — these quick and easy Baklava Cups!! When I saw my friend Kristin’s recipe this week for spanakopita bites, they reminded me that I still had a few leftover boxes of phyllo cups sitting in my freezer. (Always good to have on hand!) 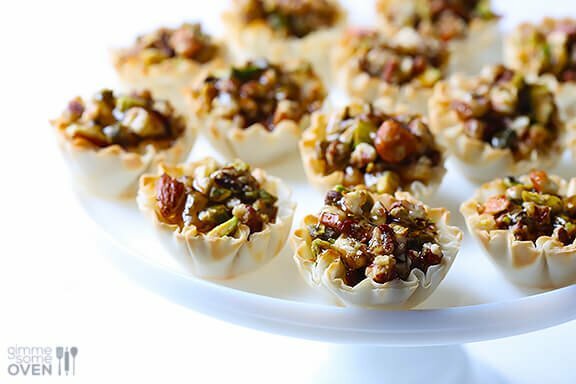 And for some reason, her appetizer sparked the idea to turn one of my other favorite phyllo recipes into some little “cups” — baklava! I know that the process of making homemade baklava is fairly complex, but the actual ingredients themselves are super simple — just some nuts, honey, maybe a little butter, and phyllo dough. These baklava cups were amazing!!! 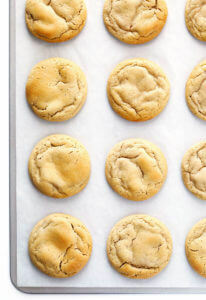 They seriously tasted just like the real deal, and were so quick and easy to make. All of those delicious toasted nuts paired perfectly with the crispy phyllo and warm honey, and (bonus!) they don’t even make your fingers sticky when you eat them. 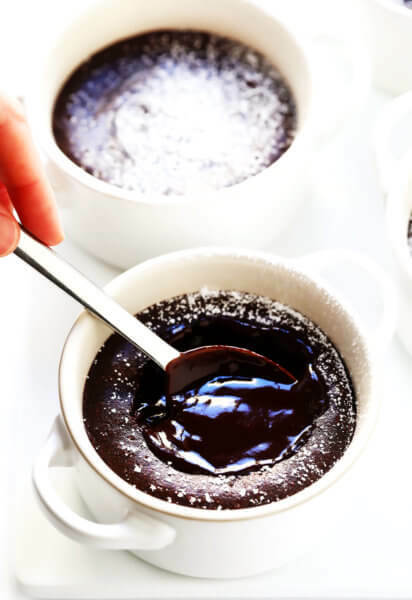 I can already tell that this is going to become one of my new go-to desserts to serve to friends. 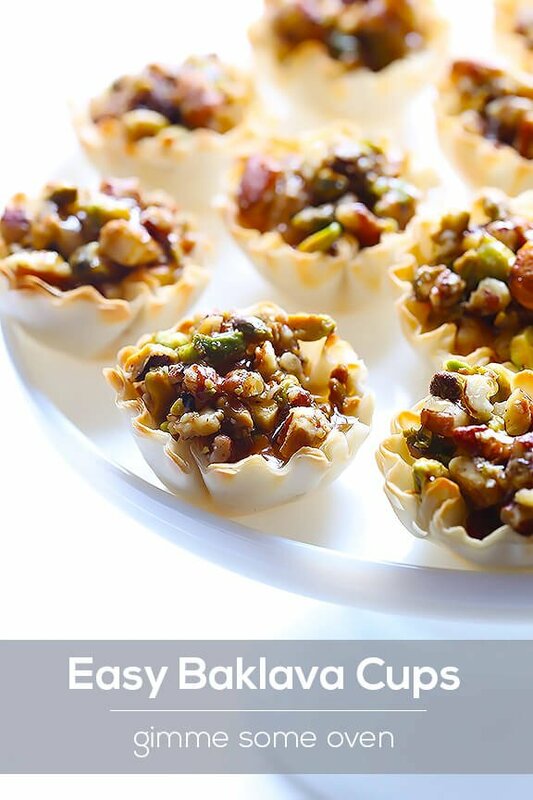 These baklava cups make for a simple and delicious dessert! Preheat oven to 350 degrees. 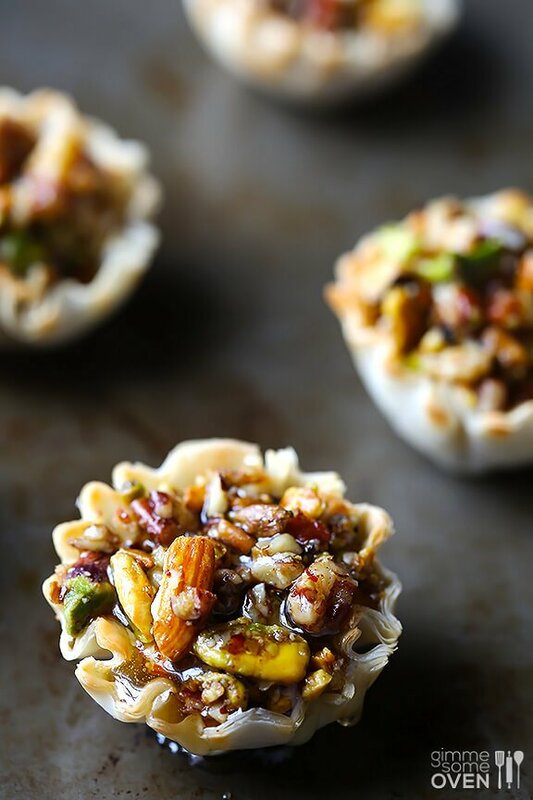 Place phyllo cups on a baking sheet. 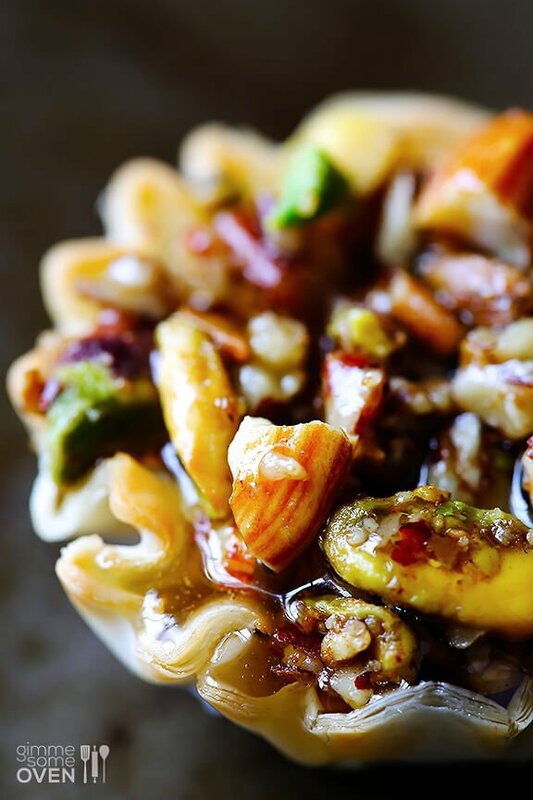 In a medium bowl, stir together chopped nuts, melted butter, honey, cinnamon and salt until evenly combined. Spoon about 2 teaspoons of the nut mixture into each phyllo cup until they are filled. Bake for 10 minutes, or until the nuts are fragrant and lightly toasted but not burned. Remove and drizzle with extra honey before serving. Serve immediately. I had a surprise party for my husband last summer. I did a complete Greek theme for something different. 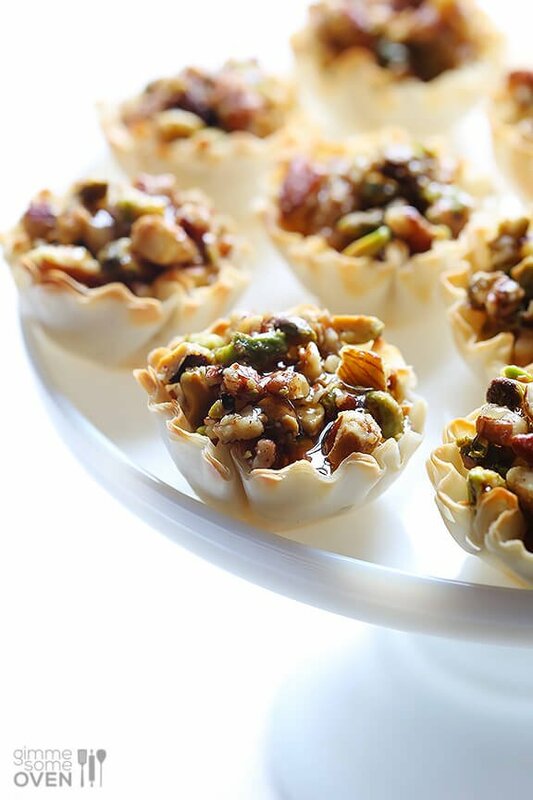 Made these Baklava cups and they were awesome. I snuck one early, otherwise I would never have gotten one. They went so fast. 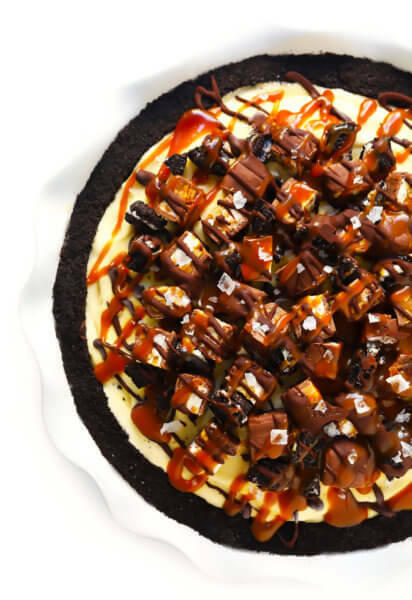 I love the idea about the dark chocolate in the bottom. Having another big party this summer. Thinking of making them again. 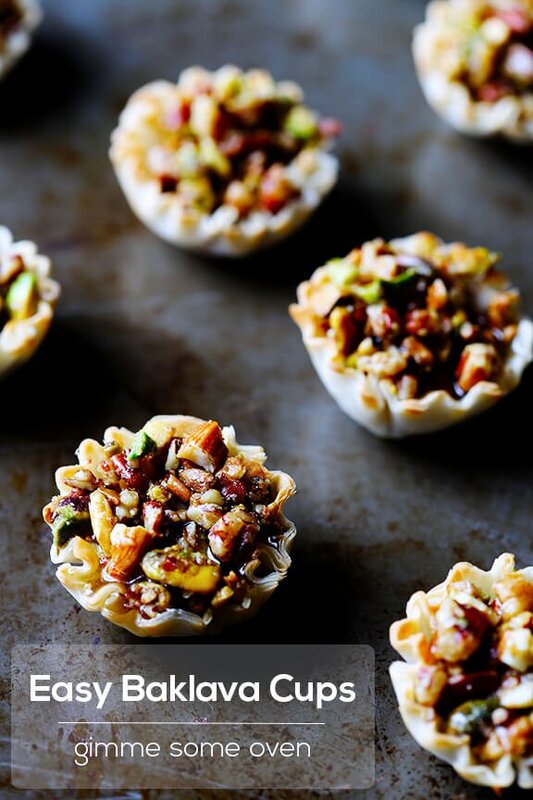 where can the package mini phyllo cups be found? Hey there! You should be able to find them in the frozen desserts section (near the frozen pie crust and puff pastry, etc.). We hope that helps! 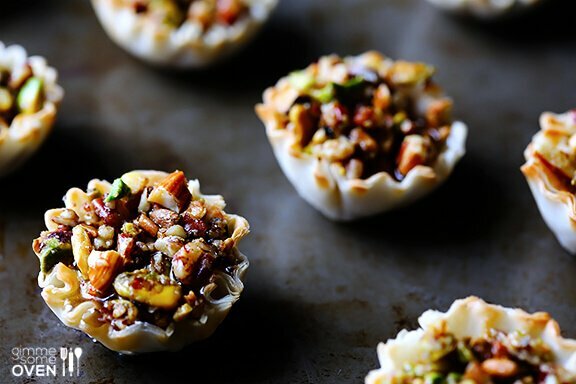 Can these mini baklava cups be made a day ahead? Hi Lucy! We think that should be fine. We hope you enjoy! Love these! – I’d like to make them for our wedding, do you think they’d still be good made a day in advance and served at room temperature? Thinking baklava from the shop is still amazing when soaked and a bit mushy, but these might err on the side of too mushy. Hi Frances! 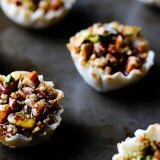 We aren’t sure they’d still be good if made a day in advance (we’re afraid the phyllo cups would get soggy/mushy). If you can, we would suggest doing a small batch test run and see how they hold up. We hope this helps! I took these to a party and they were a big hit! And super easy to make.